So this is the book that started it for me. Truth be told, I thought there were some other people who could really use learning about emotional healthy stuff and in order to ensure they might read it, I offered to buy the book for a few of us and do a group study. It was God’s practical joke on me. As I read the first few chapters while trying to put my recently son to bed on the night before the book group, with spots of dinner and formula spit up on my shirt in a room full of unfolded laundry, knowing that the dishes are piling up, and some assignments from work weighing on my conscience, I was beginning to get the sinking feeling I was more unhealthy than I realized. I had trouble accepting criticism, for some reason, I always took things more personally than I needed to. I had trouble saying giving people a clear answer – yes or no. But I was always overextending myself. And then frustrating others because I wanted to do the right thing, but didn’t have enough margin. I talked and criticized a lot, but I didn’t do nearly as much as I said I would. Towards the end of last year, it was all I could do to do the bare minimum – living far beneath the abundant life Jesus came to give us. Worst of all, I was always reacting and reactionary. I was as steady as the most volatile person in the room. If you were angry, I got angry; if you were sad, I became sad. My busy-ness hid a lot of it. Most people were never in the same room with me long enough to see how unhealthy I was. For some, they could see that I had poor sleep habits. But others just acknowledged how busy I was. After all, I had two kids – one a newborn, a working wife, traveled for work, and preached most Sundays, chaired the leadership board at church, and leading workshops at national conferences. I was paying my dues, cutting my teeth, grinding it out, being a man, whatever. I was on the cusp of an implosion. I was proclaiming a gospel of peace on Sundays while virtually every arena of my life was in tension, in conflict, or unable to sustain any sense of joy, humility, or love. My marriage was brewing with unforgiveness; my friendships were unraveling; my preaching was flat and my work was just mediocre for what I expected even of myself. And yet, I had never classified myself as emotionally unhealthy. 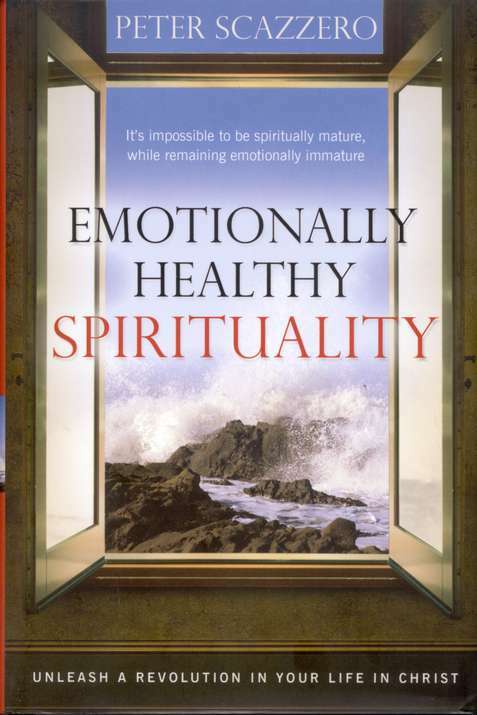 And I certainly had never correlated the various ways of unhealthiness – physical, emotional, and spiritual unhealthy as pervasive in my life until Peter Scazzero’s book shined that light into my heart. I finally saw it and I was filled with the fear of the Lord. And I took some time to begin to recalibrate where I needed to be and began to discern and own my dysfunction and brokenness. So beginning in January, I really began to preach from this place seeking an emotionally healthy faith – while admittedly still trying to find my way through the mess of my own making. And it’s been such a blessing although not without a sense of heartache or pain in the short term. I’m realizing some very important lessons here for myself and for others that an unhealthy Christian life is not good for anyone. It certainly doesn’t help us testify to the new life that Christ brings to us. And if we are immature, irresponsible, and emotional ticking time bombs, don’t we compromise our witness altogether? I think the gospel of Jesus Christ demands the we take seriously what it means to be healthy, to care for our busy-ness and to love others and ourselves well. Oh wait, isn’t that the Great Commandment? Oh yeah, maybe. The Holy Spirit And New Beginnings – Pete Scazzero from New Life Fellowship on Vimeo.